Cycle training helps make children more confident and safe on two wheels – and gives parents peace of mind too. What has replaced the old cycling proficiency scheme? 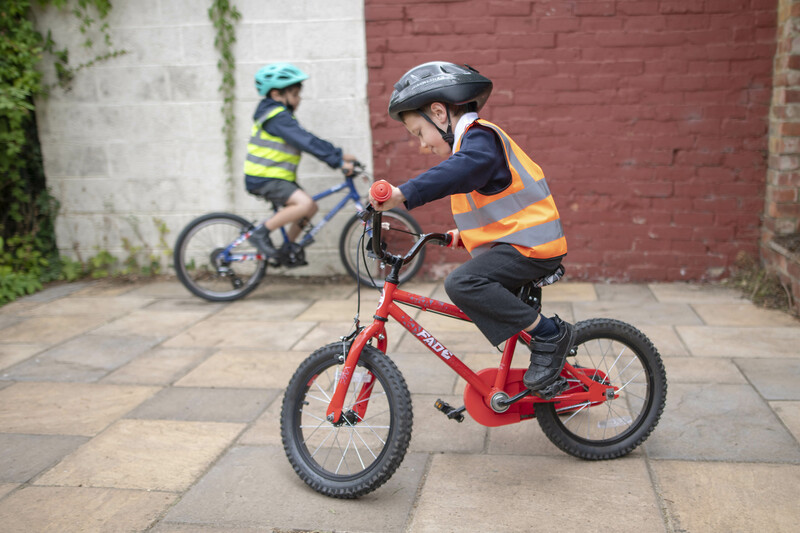 Bikeability is the ‘cycling proficiency’ for the 21st century; the new national training standard designed to give the next generation the skills and confidence to ride their bikes on today’s roads. How many levels are there for Bikeability training? There are three Bikeability levels, with each level designed to help improve trainees’ cycling skills, no matter what they know already. Levels 1, 2 and 3 take trainees from the basics of balance and control, all the way through to planning and making a journey by themselves on busier roads. What skills will my child learn at each level of Bikeability? Children will typically start Bikeability lessons once they have learnt to ride a bike. Level 2 is usually tackled by children in Years 5 or 6, before they leave primary school. Where can my child learn to cycle? Bikeability training is usually delivered via schools. If you are a parent interested, contact your child’s school to see if they are already signed up. Otherwise visit www.bikeability.org.uk to find out about Bikeability providers and for more information for parents. How can I become a cycling instructor for Bikeability? Who is responsible for national standard cycle training in Scotland? Bikeability Scotland is managed by Cycling Scotland, the national organisation for cycling promotion, on behalf of the Bikeability Scotland Delivery Group. Where can I find out more about cycle training in Scotland? Sustainable transport charity Sustrans is a registered provider of Bikeability training in the UK. Can adults learn to cycle too? Cycle training is not just for kids – and Sustrans can provide training in workplaces as well as in schools. How can I find out more about Sustrans? Visit www.sustrans.org.uk to find out more about their schemes such as their cycle training for women in Tower Hamlets, which has resulted in more families cycling together. Who are the Cycling UK and can they help with training? Cycling UK charity are ‘the cyclists’ champion’. They were formerly known as the Cyclists’ Touring Club (CTC). They do many things to support cyclists including the provision of Bikeability training, specialist/inclusive cycle training and training for trainers. Please let us know if you are a cycle training organisation (UK or overseas) and would like your details to be included here. Cycle Training UK is a workers’ co-operative based in London who have trained over 80,000 people to cycle skilfully and confidently on roads. As well as delivering urban cycling sessions to individuals, schools, workplaces and organisations, they offer maintenance sessions, instructor courses and driver training. Provide Bikeability cycle training in Leeds, UK.